If you need to investigate whether your product can create enough demand to be brought to market, you might consider posting your product to a site like Kickstarter to see if you can get any traction and financial backing. There are lots of reasons to have your financials in order, but doing so early in the process is of particular importance when using Kickstarter as there is an expectation that you will be able to deliver to your backers. Not to mention Kickstarter’s “All or Nothing” policy which ensures that even if you fall just a few dollars short of your goal, you’ll walk away with nothing except the experience. There is a delicate line that needs to be walked. Ask for too much and your project may not get funded. Ask for too little and you may not be able to deliver to your backers. 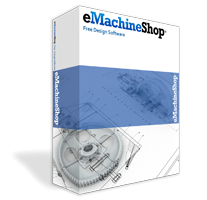 We’ve found that many people use eMachineShop’s CAD software and our Request for Quote service for its instant pricing feature before proceeding to create a crowdfunded campaign. And this is because you’ll be starting the process with a reputable manufacturer giving you guidance so that you’ll know exactly how much it will cost to produce your part in any quantity (and mention us on your project page and we’ll apply a discount – please call for details). If your campaign is successful, all you’ll have to do is place your order because all of the work to design your part, get a competitive quote, and find a supplier has already been done. eMachineShop is a leading supplier to funding seekers on crowdfunded sites such as Kickstarter and Indiegogo. We’ve helped Kickstarter-funded projects get their prototypes built, and production runs moving. Download our free CAD software, design your part, click for pricing and click to order. It’s that simple. Or if you have your own CAD file just send it in for a fast quote. How Do We Manufacture Your Parts? We use laser cutting, milling, turning, tapping, molding, punching, waterjet, bending, powder coating and more to create your parts. Then we ship parts to you for final assembly. Or we can assemble for you. We make 2D parts cut from sheet metal and 3D machined parts. Need assistance with your crowd funding project? Call us today.